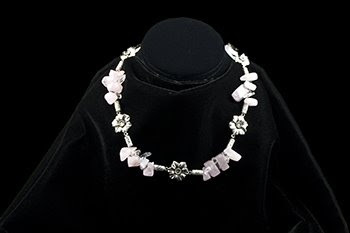 Eighteen inches of rose quartz and silver plate flowers and tubes, and a silver plated lobster clasp. 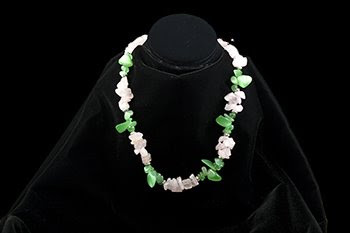 Twenty two inches of rose quartz and green glass beads, silver plated spacers and lobster clasp. 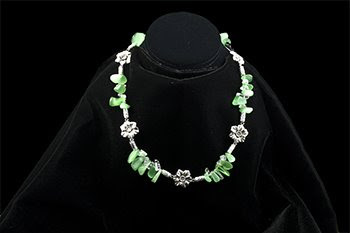 Twenty inches of rose quartz and green glass beads, silver plate flowers and tubes, silver plated lobster clasp.